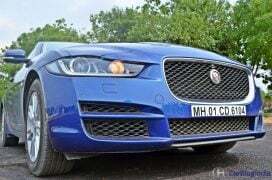 About 8 years ago, Jaguar was a relatively unknown brand in India. Only people interested in their cars were the admirers of this British marque’s tradition of producing arguably the most beautiful cars ever. 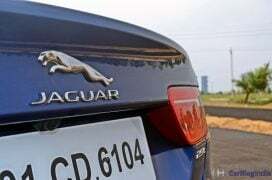 Jaguar shot into limelight in India when Tata acquired the carmaker from Ford in 2008. 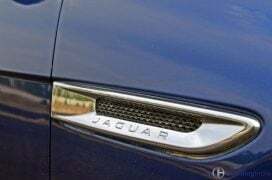 When Jaguar announced the XE, quite a few people took notice as it was to be the cheapest one to adorn the prestigious ‘leaper’ and ‘growler’ badges. 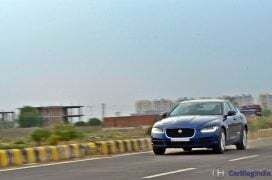 The entry-level Jaguar landed in JLR showrooms across India in February 2016 following its launch at the Auto Expo. 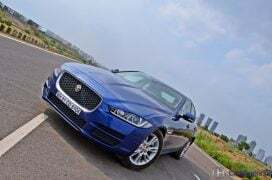 Read our Jaguar XE Test Drive Review here to find out what we make of the baby Jag after spending a few days with it. 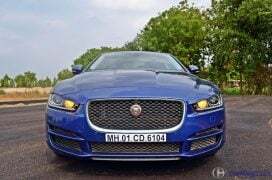 At the hands of designer Ian McCallum, Jaguar has been constantly churning out some of the most alluring designs of recent times. 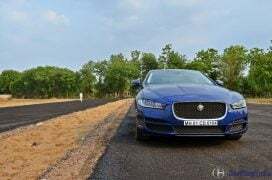 The XE is no different. 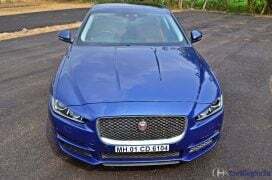 It possesses the quintessential sports sedan silhouette– a long bonnet, a short boot, and a sloping coupe-like roofline- the XE looks every bit a Jag! 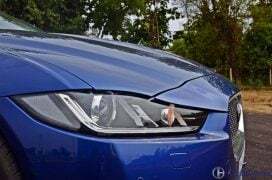 The sleek headlamps with their ‘J-blade’ LED daytime running lights sit low and accentuate the car’s width up front. 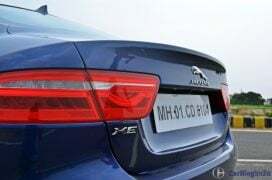 Slim headlights, an upright front grille and a low, wide nose are certain design traits that give the XE that distinctive family look. However, we do take issue with a few things. 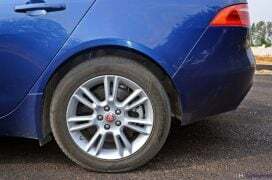 Firstly, those 17-inch rims look undersized and rob the XE off some of its elan. Sadly, there’s no option of 18- or 19-inchers. 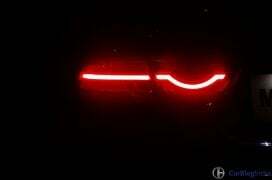 Secondly, the tail lamps could have been sleeker. 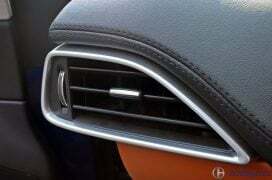 We love the detailing, but there is a fair bit of surface area that doesn’t contribute much to their functionality. But a couple of niggles apart, the XE is dressed to allure. This car has some pretty serious attention-grabbing capability. 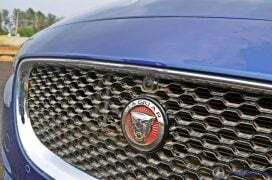 And that’s always been a thing with Jaguars, even with the ones that have been around for a while. They are more than just a set of boldly creased and sharply surfaced sheet metal, they are work of artistic craftsmanship. 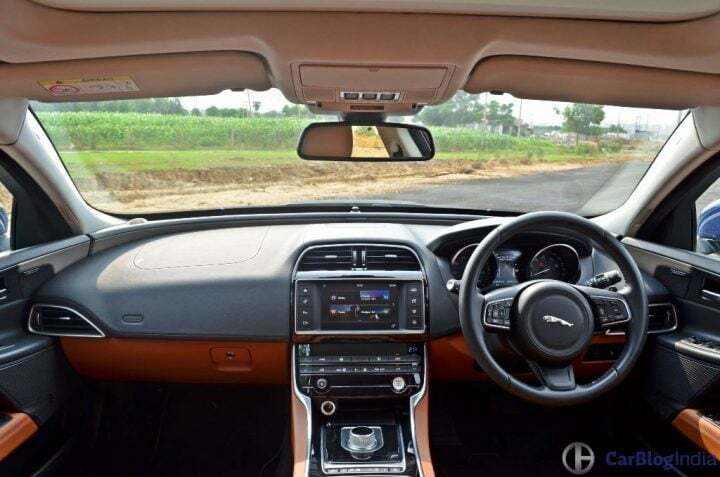 On the inside, it is not as luxurious or fancy as some of its competitors, but it still makes you feel special. 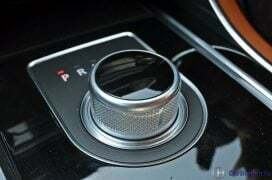 Be it the beautiful ‘Riva Loop’ that runs across the dashboard connecting the doors, or the gear selector knob that rises up every time you turn the car on, there’s a definite sense of occasion about everything. Heck, even something as trivial as the start/stop button blinks to the tone of a beating heart urging you turn on the ignition. 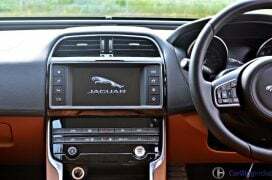 Jaguar’s updated InControl touchscreen system goes about its job without giving too much to complain about. However, it is still a few notches below the systems being offered by the competitors. The front seats come wrapped in beautiful Siena Tan Windsor leather and offer a comfortable, snug fit. In case you do find yourself in the rear, it’s not a bad place at all. For an average-sized Indian, there’s decent legroom and headroom. However, the intrusive transmission tunnel and rear AC vent mean seating three will be a squeeze. 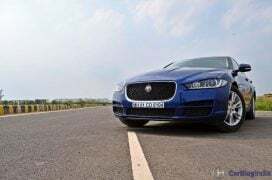 Surprising as it may seem, Jaguar does not offer the XE with a Diesel engine yet. 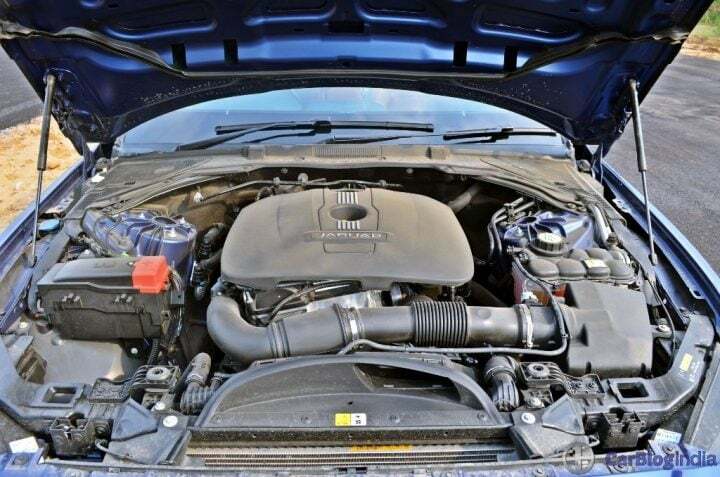 What you get is a 2.0 L Turbocharged petrol engine in two states of tune – 197 BHP and 237 BHP. 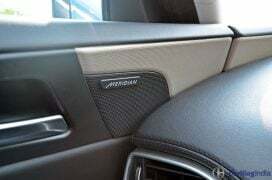 The latter is reserved for the top end trim, which happens to be the one we sampled. 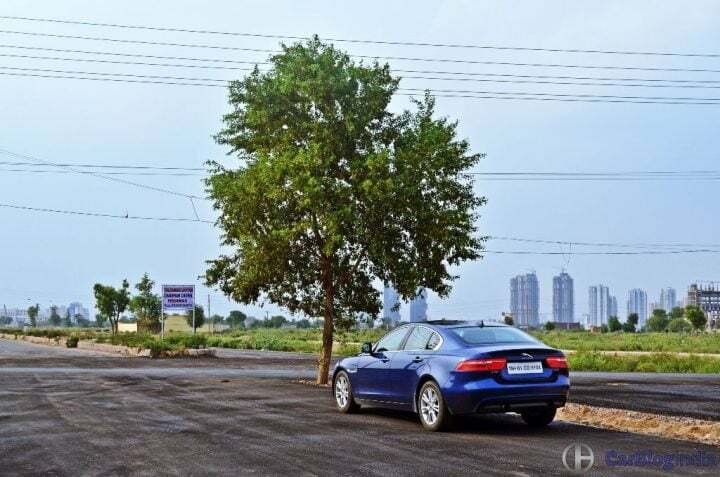 Sadly, most of our time with the XE was spent within the confines of the city and on traffic-infested streets. 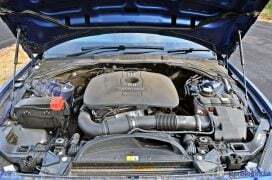 However, the shorts stints on the expressway were enough to make us realize that this motor plays a vital role in forming the character of this car. 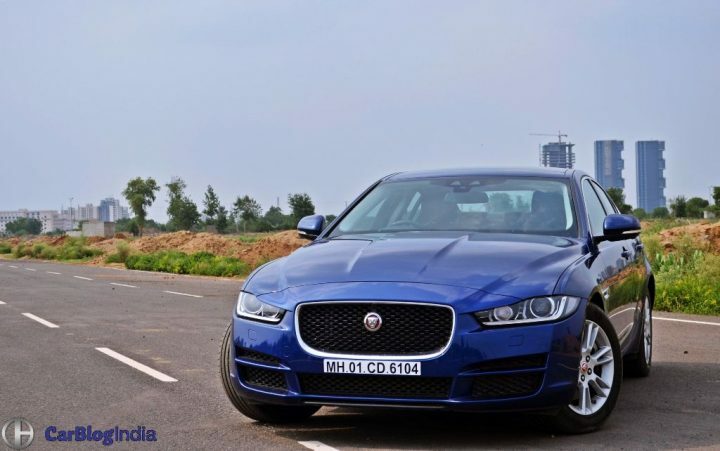 237 BHP-340 Nm propel the XE from a standstill to 100 KMPH in just 6.8 seconds. While it can cruise around leisurely all day long, it will drop a few gears to dart forward at the drop of a hat. Speaking of dropping gears, transmission duties are handled by a ZF-sourced 8-speed Auto ‘box that sends power to the correct set of wheels; yes, this one’s a RWD. 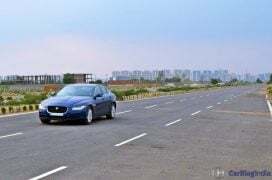 For the most part, the shifts are smooth and quick, but there were a couple of instances where the gearbox reacted a bit over-enthusiastically. So you just have to be ready in case it drops an extra cog and charges ahead wildly. 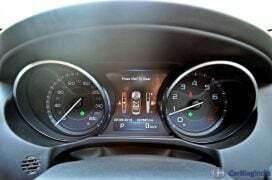 However, this is something that can be addressed rather easily by paddle shifters. In a market flooded with Diesel-powered vehicles, the Jaguar XE serves as a brilliant reminder of the sporty characteristics that high-performance Petrol engines possess. 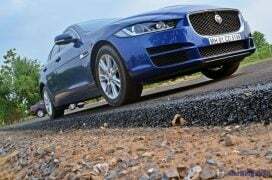 The XE is an absolute delight from behind the wheel. 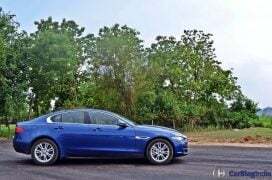 You don’t have to spend too much time behind the wheel to realize and appreciate the finesse with which Jaguar has tuned the suspension. There’s a lot of technical wizardry that goes into striking just the right balance between a cossetting ride and apex-hunting prowess. 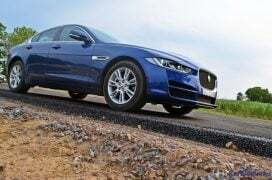 We won’t get into much technical detail, just that most of it is down to Jaguar’s integral link suspension and aluminium chassis that play a major role into making the XE a delight. Adding to the XE’s ride-handling prowess is the well-weighted steering. At no point did it feel overly heavy or unnecessarily light. It was always just right and offered enough feedback. 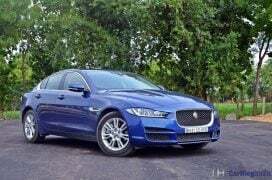 The ride-handling setup compliments that brilliant Petrol engine and herein lies the XE’s biggest strength. 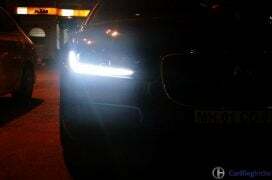 We know the traffic in most major cities these days makes driving a nightmarish experience. 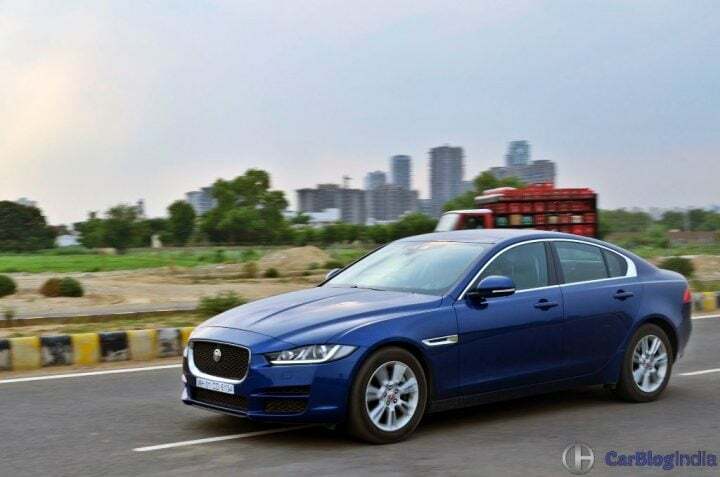 This car makes it easier, it makes you look forward to getting behind the wheel and it adds some much-needed excitement to those mundane commutes. 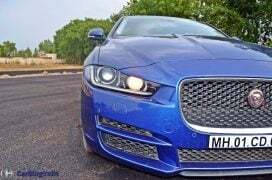 Like everything else in existence, the XE is not without a few flaws. 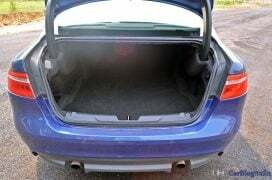 Space at the back isn’t great. 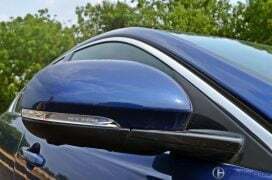 But if you are planning to spend time in the backseat you’re better off with something like a Toyota Camry or a Skoda Superb. 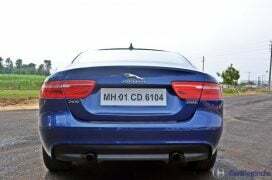 And at 48 lacs for the top-end trim, it isn’t exactly cheap. 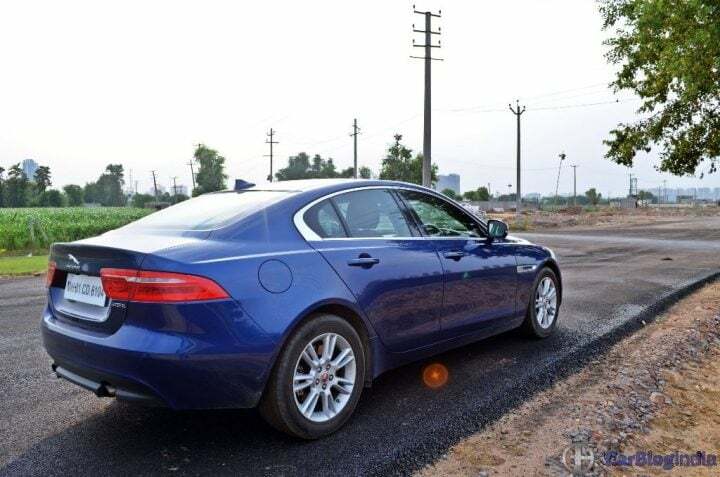 Perhaps that is the biggest chink in the XE’s armor. 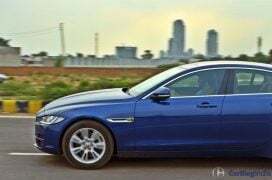 The XE isn’t the most practical of the premium executive sedans out there. However, let your heart take the wheel and you’ll end up getting one of these home. The XE isn’t flawless but it’s alluring enough to make you forget about those minor niggles. 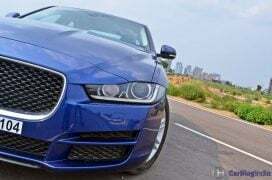 With the XE, Jaguar has managed to capture the essence of a sports sedan rather brilliantly. And we can say that purely based on the way it drives and handles. The beautiful exterior and the classy interior are simply icing on the cake. The baby Jag is quite simply all the car you might ever need. 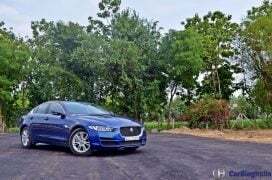 What do you have to say about our Jaguar XE Test Drive Review? Do let us know via the comments section below. 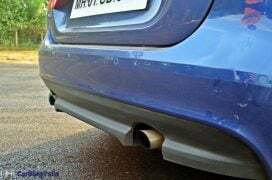 And stay tuned to Car Blog India for the latest news and reviews.